BAGHDAD — The US embassy in Baghdad insisted on Sunday it had no plans to shut down a multi-billion-dollar police training programme that it said was a “vital part” of its enormous civilian mission here. Responding to a New York Times report that the US may phase the programme out entirely, the embassy did not comment on the newspaper’s claims it would reduce the number of police advisers to just 50 or directly address charges it spent more than $100 million on a facility that it will no longer use. “Despite a New York Times report to the contrary, the US Embassy in Baghdad and the Department of State have no plans to shut down the Police Development Programme in Iraq that began in October 2011,” an embassy statement said. It said it would return a Baghdad Police College annex to Iraqi authorities, thereby relocating US police advisers to the heavily-fortified embassy and generating “considerable cost savings”. “The Police Development Programme is a vital part of the US-Iraqi relationship and an effective means of standing by our Iraqi friends as they protect their sovereignty and democratic institutions from internal and external threats,” embassy spokesman Michael McClellan said in the statement. Citing unnamed State Department officials, the New York Times reported on Sunday that new restructuring plans called for the number of police advisers to be reduced to just 50, from what was originally envisioned as a cadre of 350. 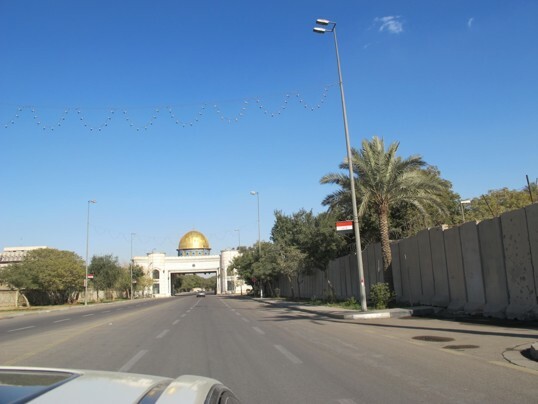 It also said that the embassy spent more than $100 million on upgrades to the Baghdad Police College, but that the building was “recently abandoned, unfinished”. The embassy did not immediately confirm the amount of money spent on the police college, and a spokesman said that “all staffing levels are evaluated periodically in coordination with the” Iraqi government. After signing a 10-year lease and spending more than $80 million on a site envisioned as the United States’ diplomatic hub in northern Afghanistan, American officials say they have abandoned their plans, deeming the location for the proposed compound too dangerous. Eager to raise an American flag and open a consulate in a bustling downtown district of the northern Afghan city of Mazar-e Sharif, officials in 2009 sought waivers to stringent State Department building rules and overlooked significant security problems at the site, documents show. The problems included relying on local building techniques that made the compound vulnerable to a car bombing, according to an assessment by the U.S. Embassy in Kabul that was obtained by The Washington Post. Following the emergency message issued by the U.S. Mission in Nigeria over alleged planned attacks by the Boko Haram, security agencies have beefed up security in certain parts of Abuja. The statement which was posted on the embassy’s website said the attacks are to be carried out in Abuja and especially hotels frequented by foreigners. The embassy advised citizens of the United States resident or visiting Abuja to exercise additional caution and said the Nigerian government is already aware of the threat and is taking additional steps to forestall them. Particularly it advised its citizens to maintain alertness in and around Abuja, near Nigerian government facilities, diplomatic missions, large gathering places, hotels, markets and malls, and places of worship. Daily Trust observed that increased security measures are being been put in place in certain parts of the Capital territory. Apart from the police road blocks and check points along major roads into the federal capital territory, security agents can be seen standing guard at public buildings and major hotels were foreigners frequent in the city. At the four-towered NNPC head office in Abuja, the road directly in front of the building complex has been blocked and cars are thoroughly checked before being admitted within the building. BAGHDAD — Green Zone. International Zone. The Bubble. To the foreigners still living there, the Iraqi capital’s fortified center has a new name: Ghost Town. On the inside, Iraqi police and military forces have raided the offices of private security companies, prompting the firms and commercial companies that rely on them to relocate. “They have hit a point where it’s virtually impossible to stay,” said Doug Brooks, president of the International Stability Operations Association, a trade group that represents foreign firms and nonprofit organizations in Iraq. to pull out fully by January will effectively end more than eight years of U.S.
and the potential for instability. military lives lost since March 2003 do not go to waste. soldiers attached to the U.S. Embassy. 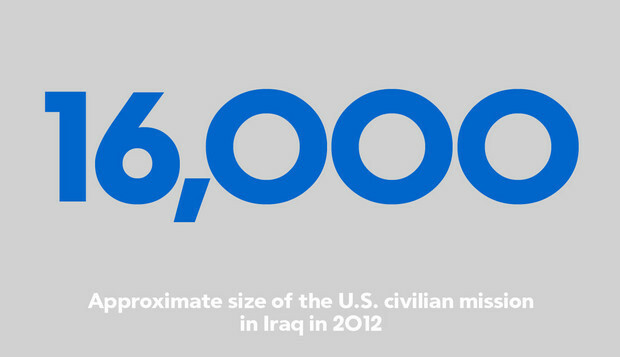 American civilians working for the U.S. government and Embassy are targeted by militants and hounded by Iraqi police. The raids are believed to be under the supervision of Maliki’s son, Ahmed, according to Iraqi and Western sources, as Iraqi officials seek to regain control of the Green Zone. Stephen Everhart was brought to Iraq by the U.S. Agency for International Development to assist the University of Baghdad’s business college in qualifying for international accreditation. He was killed Thursday outside the gates of the university when a powerful bomb commonly used by Shiite Muslim militias detonated. 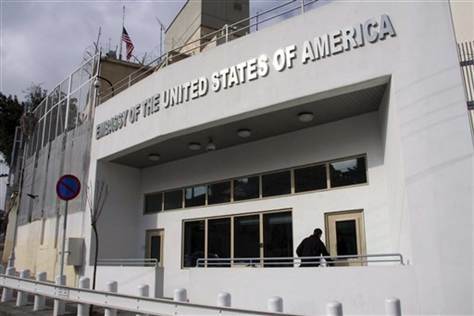 The attack highlighted the precarious position of contractors for the U.S. government and Embassy as the American military prepares to leave the country. Militia groups, some with ties to the Iraqi government, are intent on hitting U.S. diplomats, soldiers and contractors employed by the embassy. And it is no longer clear how far Prime Minister Nouri Maliki and his security forces can go in reining the groups. Civilian contractors working on projects to help build the country’s democracy are also coming under intense pressure from the Iraqi police and army. In the last month, there have been at least four raids by the army and police on USAID contractors’ compounds in Baghdad’s fortified Green Zone. The deputy head of a USAID program was detained for about a week by the Iraqi security forces; he was released Thursday. In part, the harsh treatment now is baggage from eight years when Americans had virtual immunity from Iraqi rules, and Iraqi officials came to resent civilian and security contractors who were seldom, if ever, held accountable. What raised the Iraqis’ anger was a request by these congressmen that Iraq pays a portion — and even up to a half — of the expense of the US occupation of this country. The US delegation of congressmen had also requested a visit to Camp Ashraf, whish was also opposed by Iraqi authorities. This decision of the Iraqis was welcomed by various factions within the Middle Eastern country to a point where even Ayad Alawi’s faction, which enjoys warm ties with Saudi Arabia and the US, wasn’t able to disagree with it. The US did not enter Iraq at the invitation of executed Iraqi dictator Saddam Hussein for the Americans to want to ask for compensation from the next Iraqi government. Furthermore, US troops were never welcomed as ‘freedom forces’ by the Iraqi people. The murders that US troops have committed in Iraqi prisons or on the streets of various Iraqi cities have not left a positive impression of the US military on Iraqi citizens. Despite the fact that the US forces ousted Saddam, Iraqi citizens never believed that these efforts were aimed at freeing them from dictatorship and not aimed at protecting US interests. 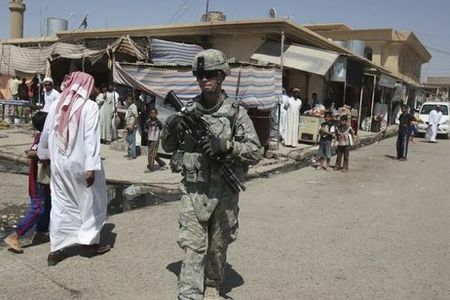 The monthly cost of maintaining US troops in Iraq was USD 4.4 billion in 2003 and USD 12 billion in 2008. So far the US has spent nearly USD 1.8 trillion in Iraq in the form of military hardware and personnel. Some analysts from within the US have even put this figure much higher than the official amount. In September 2010, the Iraqi government agreed to pay USD 400 million in damages to the US for damages incurred during Saddam Hussein’s regime. In its 60th assembly last May, the Iraqi parliament agreed to pay this amount. The decision was met by widespread protests by the people and various political groups. The US government has never officially asked Iraq to share the cost of the war but it tries to compensate itself by exclusively granting military and civil reconstruction projects to US companies. More security personnel, more intensive information gathering, new protocols – a slew of measures Hungarian police and private contractors guarding embassies in Hungary are taking in order to protect diplomatic objects in Budapest. All is quiet around the UK Embassy on the corner of Budapest’s Erzsébet tér. Harmincad utca, the street on which the embassy’s entrance is, has been closed off from car traffic and pedestrian traffic usually treads on the other side of the street, as well. It is very similar to what you would have seen before Osama bin Laden’s death. But in fact, it is invisibly different. Osama has died and the world is expecting retribution, at least a symbolic one. And due to the UK’s past role in combating terrorists, the British Embassy in Budapest could, according to Hungarian officials, be one of the embassies under threat. It is not the only one where security has been tightened. According to the Hungarian Foreign Ministry, the US and “its closest allies and partners in past military operations” are the most likely to be threatened in any terrorist retribution following the killing of the most wanted terrorist since September 11, 2001. This means that Israel’s, Germany’s and France’s embassies are now also under more intensive police protection in Budapest, as well as the US’s, of course. “We are constantly reviewing the situation and we are doing everything to enable us to react well. Some things we are doing can be seen, but securing these premises also includes steps that are hid from the eyes of the public,” says Eszter Pataki, head of the ministry’s press department. “If we deem it necessary, we detail more personnel to protect the embassies,” she added. In practice, a stronger threat level has brought little change to the life of the embassies. “We are monitoring the situation and whenever we become aware of a threat, we have a responsibility to issue a warning,” Bradley A. Hurst press attaché of the United States Embassy to Hungary told the Budapest Business Journal. The US has issued a warning to its citizens, especially those residing in countries featured on the Department of State’s travel warning list, to exercise additional caution and if possible, stay at home for a while. The administration also ordered strengthening the protection of diplomatic assets abroad. In many cases, more threat makes more work for the private contractors in charge of protecting diplomatic institutions. The protection of diplomatic institutions is overseen by the law enforcement of the host nation, as regulated by the Vienna Convention of 1961 on a basis of mutuality, but the diplomacies can and often do hire companies like In-Kal Security to provide additional protection. As Dr István Bökönyi, strategic director at In-Kal told the BBJ, the company is one of the biggest in its field in Hungary and is currently in charge of protecting four different diplomatic assets belonging to nations that are high on the terror-threat list. In-Kal currently has tens of security professionals on such assignments, Bökönyi said without revealing the actual number. Some of the assignments involve armed service performed by specially trained professionals.